“Sense and Sensibility and Sea Monsters” (pre-ordered), and “Mr Darcy, Vamprye” (currently en route). These are the only way I’m ever going to be able to cope with these type of classic books! Monsters! Vampires! Yay! Tempted by both of these, after the success of P&P&Z. Will be very interested in your reviews! I enjoyed P&P&Z. Great fun. 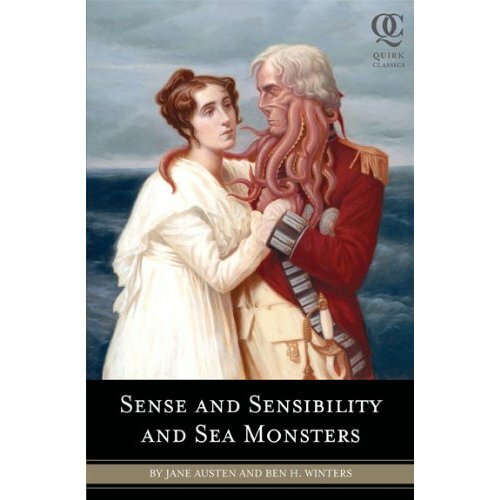 I ran across your blog and saw that you’re looking forward to reading “Sense and Sensibility and Sea Monsters.” I hope you love it! I work for the publisher, and I was wondering if you wanted to receive info and updates about the Quirk Classics series. If you do, just send us an email at QuirkClassics@gmail.com. FYI: We’re announcing a new title in the series at the end of the month, so you might want to stay tuned for a message about Quirk Classic #3. Thanks for talking about our books, and happy reading! Next Next post: Customer service – a dying art?